If you missed the Winter Fancy Food Show in San Francisco last weekend, be sure to check out The Future Market to explore themes on cannabis cuisine, blockchain chicken, and more. Amazon’s long-awaited checkout-free convenience store opened its doors on Monday. The company also announced its marketing platform, causing investors to salivate over its ad business and increasing market value. 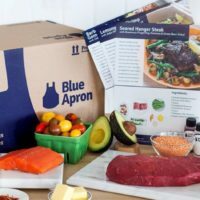 Two major acquisitions were made in the on-demand food delivery space–David Chang’s Ando was swallowed by Uber Eats and Square, owner of Caviar, bought out the long-established Texas-based company, Entrees On-Trays. DoorDash has joined the food waste movement by partnering with Feeding America on a pilot program to deliver surplus food to places in need. 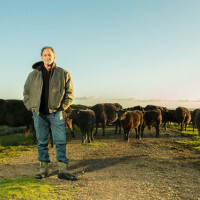 David Barber, co-founder of Blue Hill restaurants, has launched a $30 million fund with Zoe Feldman for agriculture and hospitality tech, CPG and experiential retail companies. And finally, National Geographic featured an article that visualizes China’s industrializing agricultural economy, reminding us of the country’s ever-growing population and shrinking farmland. 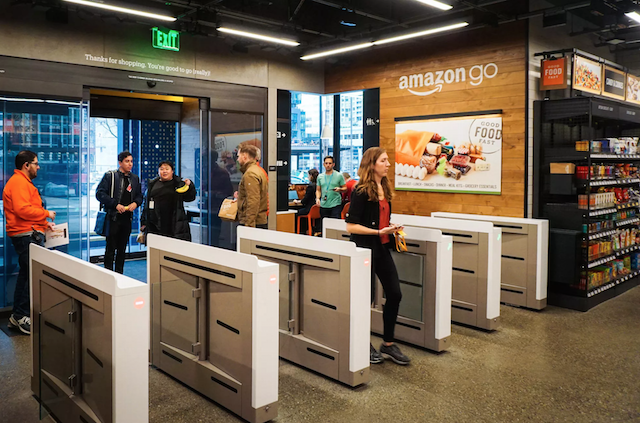 The technology inside Amazon’s new convenience store, opening today in downtown Seattle, enables a shopping experience like no other — including no checkout lines. Ando is shutting down its service immediately as it begins to integrate with Uber Eats. The news comes as Uber CEO declares Uber Eats will be the largest food delivery company in the world this year. David Barber, co-owner of Blue Hill restaurants, and Zoe Feldman have launched a $30m fund for agriculture and hospitality tech, CPG and experiential retail companies. Almanac will invest in seed or series A rounds for early stage brands and has already closed three investments. Over the past several years, Bezos & Co. have quietly put together a marketing platform. Analysts predict it will become the first company with a $1T market value. 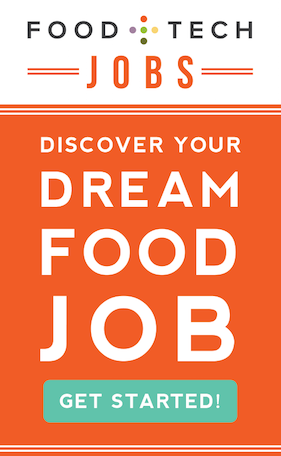 DoorDash and Feeding America have launched a pilot program called Project DASH allowing restaurants to have their surplus food delivered to places in need through their MealConnect app. The deal will make Bacardi the biggest spirits player in the super-premium segment in the US. Tequila has been a fast-growing category as consumers shift away from beer and vodka. The round was led by Third Point Ventures, Intel Capital, Comcast Ventures, Syngenta Ventures and Dupont. The company offers drones and subsequent data management and analysis. The startup’s technology aims to increase trust and efficiencies, bringing transparency to supply chains. OriginTrail is part of the Bits x Bites tech accelerator program and has piloted its technology with Chinese online food store Yimishiji. Executives of each company met each other in China last month. Sources hint at a possible deal spanning online and offline sales. 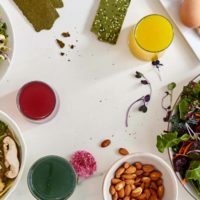 Square has acquired Entrees On-Trays to expand the footprint of its on-demand food delivery service, Caviar, in the Dallas-Fort Worth, Texas area. It will also allow Caviar to deliver from long-standing favorites, grow existing markets and pilot cross country pop-ups. The women say they were bullied, harassed and even assaulted. They’re out of work, and the men who allegedly behaved badly still have jobs. JUST, formerly Hampton Creek, debuted its “Just Scramble” for the Asian markets in Hong Kong. The company is showing off the fruits of its $90m investment from Horizons Ventures. It plans to get its products into China, Japan and India.